We are anxiously awaiting the opening of the resort expansion at Disney’s Coronado Springs Resort. The expansion isn’t ready to open yet, but it did hit a major historical milestone. 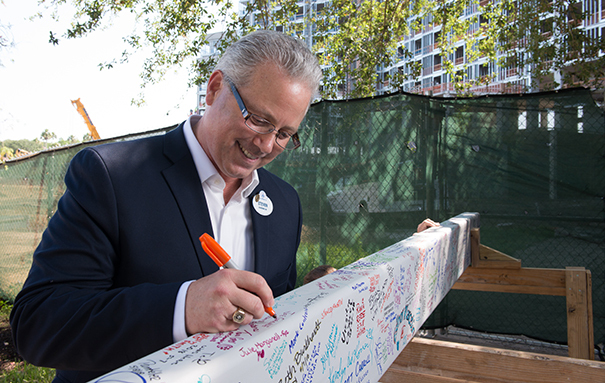 The Disney Cast Members and Imagineers signed a support beam that was placed on top of the 15-story tower for the resort. 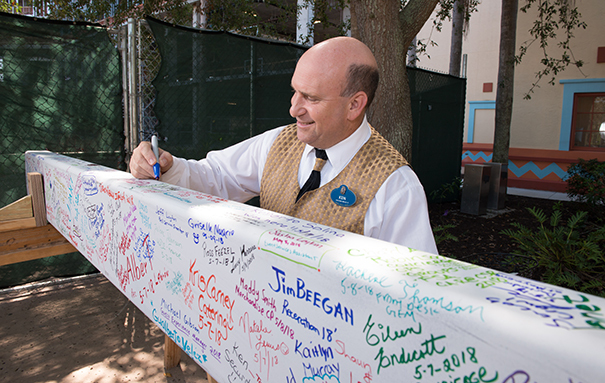 It is a tradition for builds at Disney theme parks and has become a major milestone ceremony. It is an extremely special moment for all that are involved in the expansion. 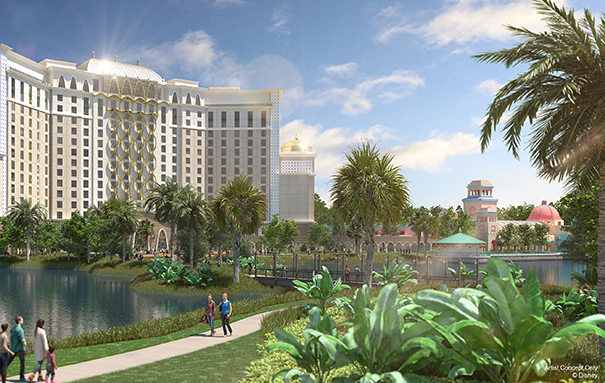 The expansion will include a new 15-story tower with amazing views of the Lago Dorado waters. 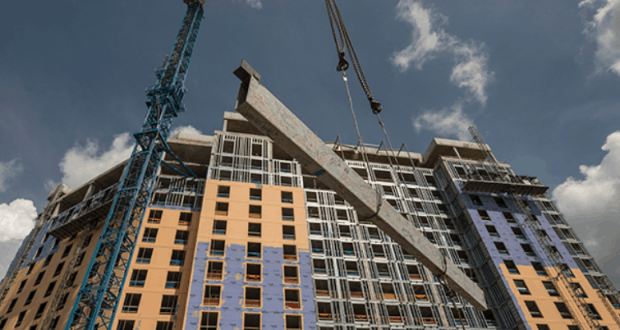 The expansion will feature over 500 guest rooms and suites. There will also be a rooftop restaurant and lounge offering beautiful views of the grounds. There will be a boardroom and multi-purpose rooms for meetings and convention events. Who else can’t wait for this new expansion to finally open?